Experience the Aran Islands in a fun and hassle free way on one of our tours to Inis Oirr. Our aim is about providing pure joy to tourists and visitors coming to the West of Ireland. Where better will you meet the unique Irish character than in the pub. And now you can meet the unique Aran Island character by coming on one of our 'flying' visits to the islands made famous by the Saints and the Scholars. Leaving Galway City in the late morning, we make our way to Connemara International Airport for our short scenic flight across Galway Bay with commanding views of the Connemara coastline, the Cliffs of Moher and the limestone landscape of the three Aran Islands. 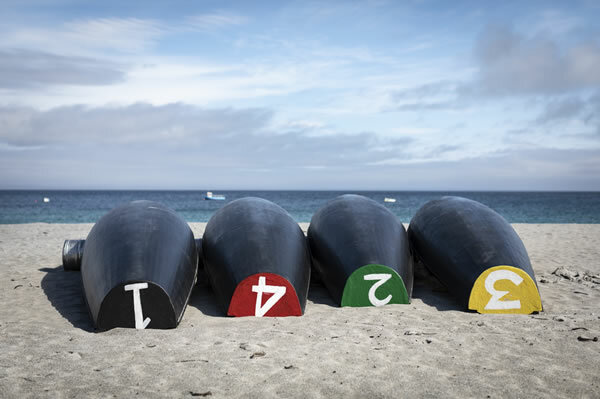 There are also Sailing options via Doolin or Rossaveal. Touching down above the sandy beach of Inis Óirr, you will be ushered through security before you can even reach for your passport! Making your way to our first port of call, Tigh Rory, you will experience island life at its best. 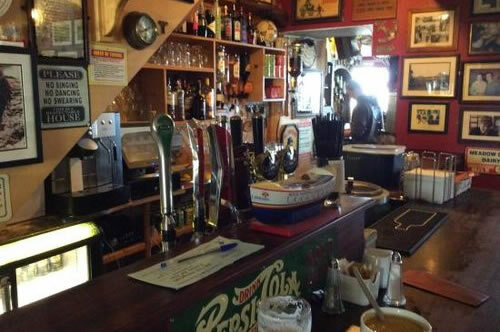 Following a visit to Óstán Inis Oirr and a tour of the island on the Wanderly Wagon, the third and final pub on the island, Tigh Ned is always bustling with atmosphere. Food and drink of the highest quality awaits you, in all three hostelries on the island where you will have ample time to meet the locals, your fellow visitors and enjoy the unique atmosphere on the island made famous by Fr. Ted. As we take the last flight from the island the joys of Connemara await you on your return trip to Galway, where we will stop at Tigh Chualain, west of Spiddal for our last pub of this truly enjoyable and unique tour. 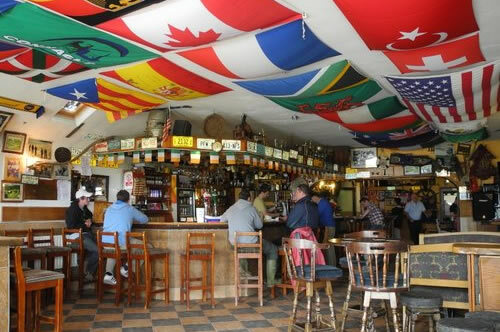 Aran Island Pub Tours cost from €99 per person (Group rate) and include all transport, Boat/Flight, Tour of the Island and a €5 food and beverage voucher for the 4 pubs we visit. A great day out that’s easy on the pocket! Tailor made private itineraries available. 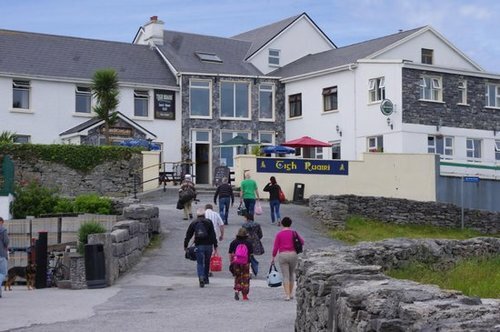 As you make your way on the short walk from Inis Oirr airport to Tigh Rory, our first port of call, you will get a great sense of island life. Passing by the ancient cemetery, schools and GAA pitch, you will experience how vibrant island life is on Inis Oirr. Eoin, Gráinne and family will assure you of a warm welcome as you make yourself comfortable either indoors or in their secluded outside seating area. A wide array of food and drink is on offer here with locally caught seafood served fresh daily. What better way to get a taste of Inis Oirr. Just a stone's throw away is Óstán Inis Oirr, the island's hotel. Full of character with a fusion of old and new, memorabilia from times gone and from recent times fills the walls and the many locals present are only delighted to share their stories and knowledge with you. Another short but scenic walk takes you past the sandy beach and crystal clear waters and on to Tigh Ned, our third and final stop on Inis Oirr. Both a Publican and a Fisherman, seafood is a feature of the casual dining experience here with a beer garden made almost entirely from Limestone. You will relish your time at Tigh Ned, with its views of the Atlantic Ocean and the Connemara coastline. Heading back to the Airport aboard the Wanderly Wagon, this is an afternoon to remember!